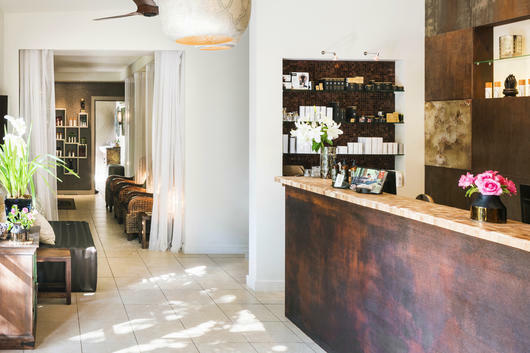 As the home of Retreatment Botanics, Olivia Newton-John's skin care range, Gaia Retreat & Day Spa is an incredible slice of paradise, so I wanted to share what makes this place so special in this guide to all things Gaia. With the launch of Olivia Newton-John's brand new range of natural skin care, Retreatment Botanics, I just had to share more information with you about the world-famous day spa and retreat which inspired it all! 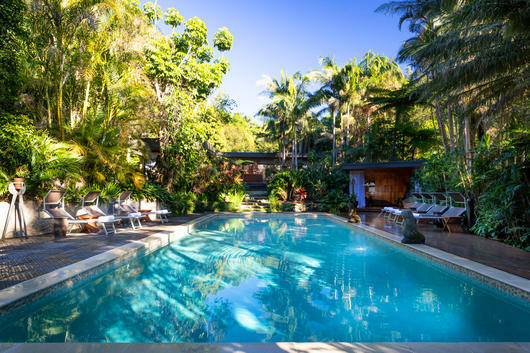 Retreatment Botanics is totally based around the treatments and overall experience of Gaia, situated right here in Australia in the picturesque Byron Bay hinterland. Gaia was founded in 2005 by Gregg Cave, Ruth Kalnin, Olivia Newton-John and Warwick Evans, nicknamed 'G.R.O.W.' Together, the team wanted to create a space specially designed to help rebalance, refocus and restore both the mind and body — and that's exactly what they did! Today, Gaia is an award-winning retreat and day spa, with world-class facilities, unparalleled views and expert staff. 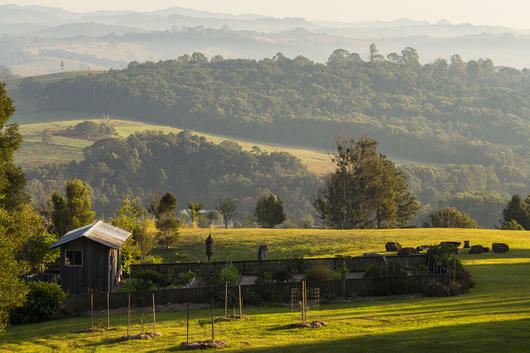 It sprawls across 25 acres of land on the highest point in the Byron Shire region, and is equipped to provide a private, secluded and self-contained getaway, complete with cuisine crafted from organic local produce. Gaia actually means 'spirit of Mother Earth,' and it truly has been created to provide a peaceful, safe and tranquil haven for visitors to deeply de-stress, rebalance and relax. Gaia is designed to help inspire guests embark on a journey of personal development, equipping individuals with tools to continue their Gaia journey long after they have left. Since opening 14 years ago, Gaia has won numerous global awards, including the prestigious 2018 Global Hotel of the Year Award at the World Luxury Hotel Awards. Day Spa experiences don't get any better than Gaia's world-famous spa, with 14 treatment rooms and over 35 talented therapists and staff. The award-winning Gaia day spa is of course also the home of Retreatment Botanics. Kukura House is the main meeting place for guests, houses the reception, main dining area, relaxation lounges and spacious deck. At Kukura, guests can relax with a book from the library, play board games, lie on a daybed, watch a movie or practice meditation. Here you will also find some of Australia's finest organic wines served after 5pm! World-class dining is another main feature of Gaia, with incredible cuisine crafted by in-house chefs, with a strong focus on fresh, locally sourced organic produce. Gaia's chefs personally choose produce from the on-site organic garden as well as from local farmers. Enjoy a gourmet hot breakfast, light lunch and three-course fine dining experience for dinner. Special dietary needs are always fully catered for as requested. Viha Fitness Centre is fully equipped with an extensive range of activities and friendly, professional staff for all fitness needs, offering yoga and meditation classes, tennis, cardio circuit, boxing, pilates and tai chi. This centre also offers organic cooking classes, presentations on health and wellbeing, and even sculpture/art classes. Spa amenities continue the all-round atmosphere of relaxation and rejuvenation at Gaia, with a salt water pool, spa and sauna on-site. The tranquil, heated pool is nestled among trees filled with exotic birds, while the spa and sauna are the perfect places to relax in private. 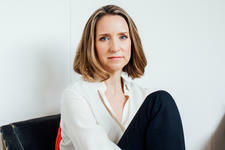 Honestly it just keeps going though, with a naturopathic clinic also available on-site! 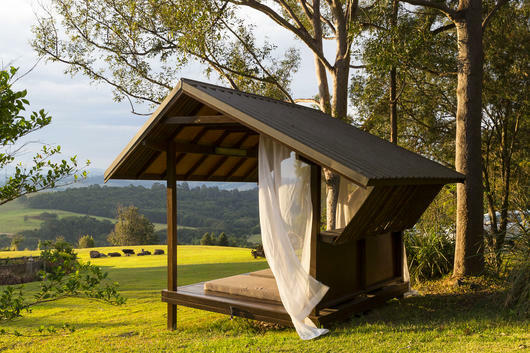 Gaia Retreat is also designed to fully embrace an eco-friendly lifestyle, with as little impact on the land as possible. Fresh produce is grown in on-site organic gardens for use in nutritious meals served to guests, and each facility makes every effort to use Australian made eco-friendly cleaning products, recycle waste, and compost wherever possible. 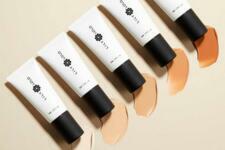 Read more about Olivia Newton-John's skin care range in my guide to Retreatment Botanics.